The arrival of the ‘information age’ took most people by surprise – including scientists and technologists. Today, research on better, smaller, and faster ways to store and transfer information continues to grow, and growing fast within this scope is the field of magnetoelectronics. 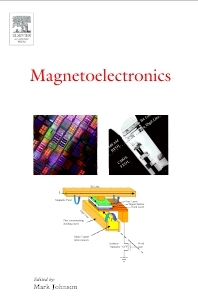 With its possibilities as a magnetic storage technology capable of overcoming the vulnerabilities of CMOS (complementary metal on oxide semiconductor), magnetoelectronics promises to be an important installation in the information era. Scientists, engineers and program managers who are involved in - or becoming involved in – magnetoelectronics; under-graduates and graduates studying magnetoelectronics.